Its microcomputer chip permits setting 4 separate channels simultaneously in any combination of countdown or count-up (stopwatch). Set any countdown time from 99 hours, 59 minutes, 59 seconds to 1 second with an accuracy of 0.01%. When zero is reached, the timer starts counting up to show time elapsed since alarming. 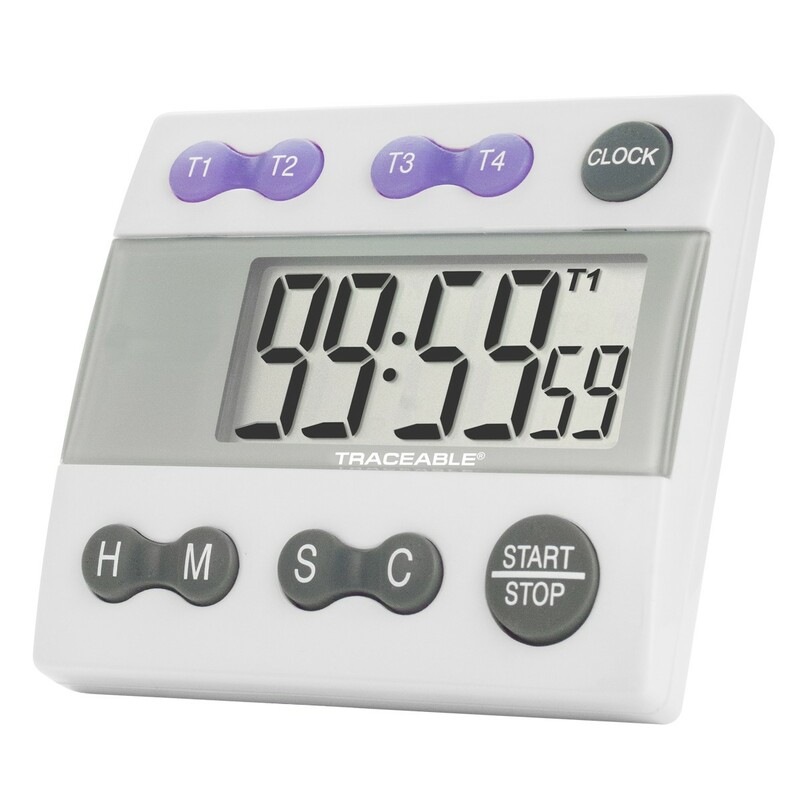 Additional features include stopwatch, time-out, and time-of-day clock. Finger-size keys make it easy to set times and change channels.